Few things are known about the cave of Saint Andrew the Apostle. One of those things that can be said with certainty is that it was discovered in 1918 by Jean Dinu, a lawyer. After dreaming one night, he came in this area to find the cave in an advanced state of degradation. After cleaning it of the vegetation inside, he built a couple of cells and the first monks came in a short time. 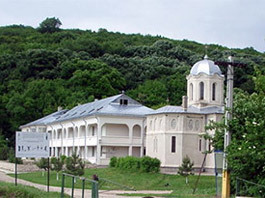 It was sanctified in 1943 by the bishop Chesarie Paunescu but during the communist period it was destroyed and turned into a shelter for animals. 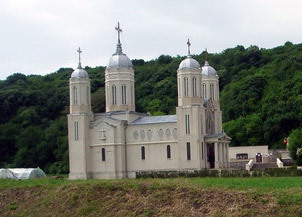 The Church of the Monastery Cave of St. Andrew the Apostle. Only in 1990, with the blessing of IPS Lucian, father Nicodim Dinca, the monarch of Sihastria Monastery, along with the hieromonarch father Victorin Ghindaoanu, started to restore the cave and to build the monastery. 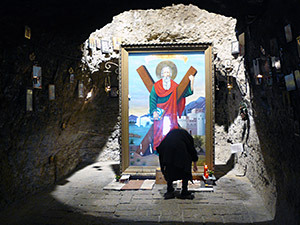 The cave shelters the icon of Saint Andrew, known as the apostle who christianized the lands at the North of the Danube. There is a bed carved in stone in a niche of the pronaos. It is said that that was used as a resting place by Andrew the Apostle. In the course of time this has been a place to light candles, and now it is used by those in need of comfort from disease. Here, the priests also read prayers for sick people and the Mass of Saint Basil the Great. 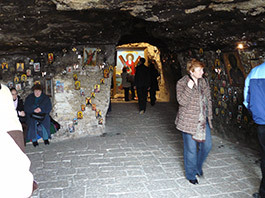 The entrance in the Cave of St. Andrew the Apostle. 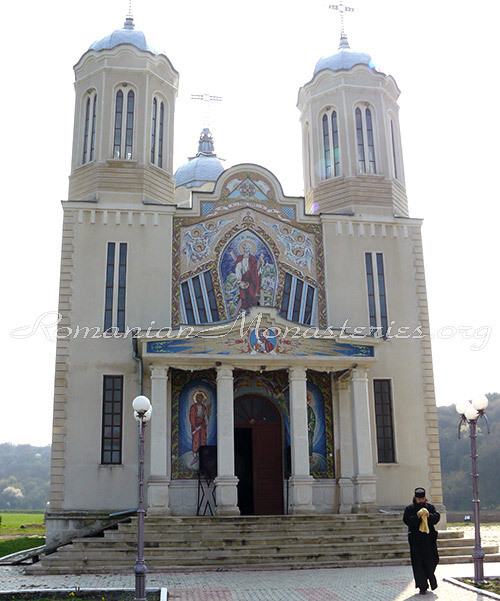 Today the monastery has a smaller church built during the years of 1994 – 1995, sanctified with the Holy Virgin’s Protection as its dedication day and the third bigger church was built during the years of 1998 – 2002. In the small church are kept the relics of Saint Andrew. A cross in the shape of “X” can be found, on the left, in front of the altar of the smaller church. In the center of this cross is placed a part of the finger belonging to Saint Andrew. The finger was brought from the Trifiliei Metropolitan Church of Greece. On the four extremities of the cross there are the relics of the martyr saints of Niculitel from Dobrogea: Zoticos, Attalos, Kamasis and Filippos, Epictet the priest and Astion the monk. Near the cave there is a spring about which the legend tells that it appeared after Saint Andrew struck the rock with his staff in search of water. 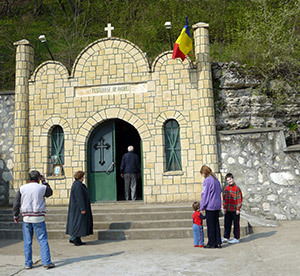 Tens of thousands of pilgrims come each year to the Cave of Saint Andrew and this made this place to be rightfully named the Bethlehem of Romanian people. 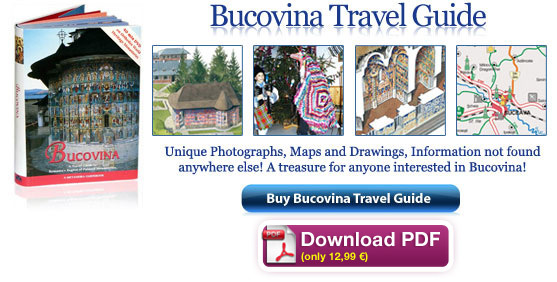 To get here, the pilgrims must first reach Cernavoda, afterwards head south to Ostrov. In the locality Ion Corvin, an indicator points them to a side road that takes them to the monastery in a forest, after 3 – 4 km. The Saint Apostle Andrew was crucified on a cross in the shape of X. The Saint Apostle Andrew was the brother of Saint Apostle Petre. At first he and Saint Apostle and Evangelist John were apprentices of Saint John the Baptist. 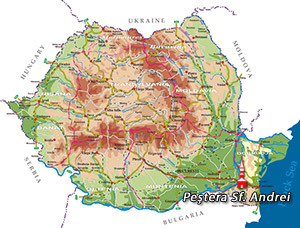 After the Resurrection and the Ascension of Jesus Christ and the Descent of the Holly Spirit, the apostles drew the chances on where to go to preach this faith, and Saint Apostle Andrew reached the area of the Black Sea, including Scythia Minor of the time or today’s Dobrogea. He secluded in that cave with two apprentices and he started to preach. He then went to the region of Kiev, and returned to Dobrogea. Because all went well, he headed to Patras in Greece where he was crucified on a cross in the shape of “X”. The Monastery Cave of St. Andrew the Apostle. The Cave of St. Andrew the Apostle.